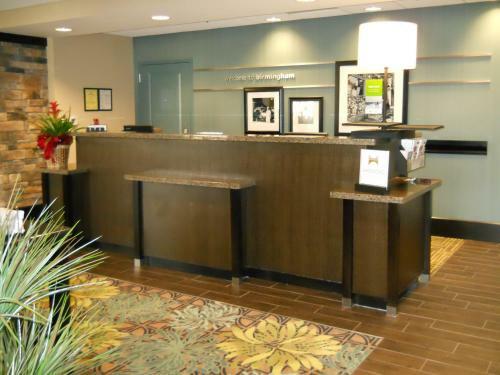 Located off of Highway 280, this Birmingham, Alabama hotel is less than one mile from Eagle Point Golf Club. It features an outdoor pool and rooms with free Wi-Fi. 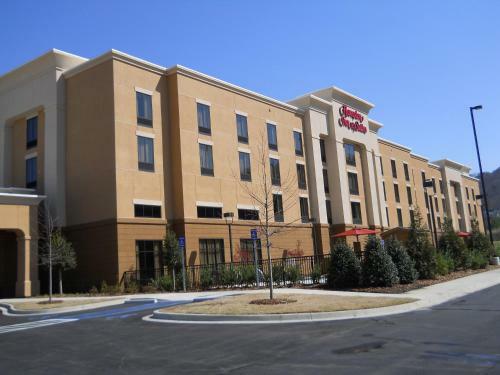 A daily buffet breakfast is served in the morning at the Hampton Inn and Suites Birmingham/280 East-Eagle Point. Free access to the gym and business center is offered to all guests and the convenience shop is open 24/7. Each modern guest room at the Birmingham Hampton Inn is furnished with a flat-screen cable TV and a coffee maker. They include air conditioning, a work desk and ironing facilities. Within walking distance of The Village at Lee Branch shopping center, the Hampton Inn is 5 minutes from Tree Top Family Adventures arcade. Downtown Birmingham is 12.8 miles away. the hotel Hampton Inn & Suites Birmingham/280 East-Eagle Point so we can give you detailed rates for the rooms in the desired period.